This beautiful jewelry set matches stunningly with your favorite outfits. 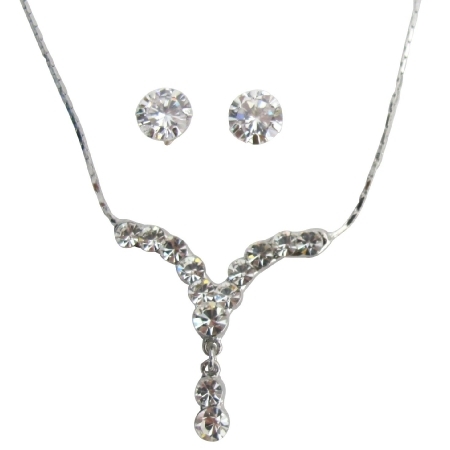 A jewelry set of glamorous Y Shaped Clear crystals Gorgeous Jewelry For Prom Or Graduation Party in Dazzling Clear Crystal necklace Y shaped with matching stud earrings. Perfect for special occasions bridesmaid gift or beautiful jewelry for yourself.